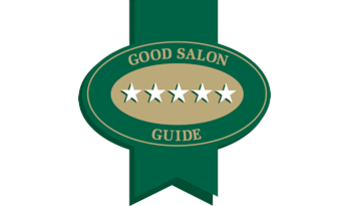 Ideally situated in stunning Church Street, Hereford’s Escape Hair Salon, a Five Star Salon as rated by the Good Salon Guide, offers first class services and beautiful bespoke hairdressing. Our highly regarded hairdressing and styling services didn’t come overnight. We ensure that all of our team undergo exclusive training that guarantees consistency and premium quality in the finished result for every client. Our stylist will deliver the very best personalised colour, style and experience. Whatever look you are going for, our team can offer an exceptional experience which will get you noticed by all. Each team member is respectful and inspired to deliver a tailored style that supports you and your lifestyle. Our philosophy is for you to Relax, Enjoy and Escape at our salon and we will ensure you leave looking great and feeling fabulous. We want you to feel fabulous. Escape started in 1999 at our old premise in St Owens Street, Hereford and decided to move to a more centralised location for the convenience of our client to Church Street, Hereford.